A round that saw Majak Daw burst onto the scene and Tom Lynch turn himself into an unlikely trivia answer. Lynch gets first place over Daw because ten is greater than six. Sure, he gets the “played against the Giants” factor justly cast against him, but ten goals is a good showing no matter who you’re playing. He is ginger too so I feel he should get some adversity points thrown his way. Lynch has been a critical cog for the Crows since being reintroduced to the side. He plays an important link up role around the half forward flank, offering an intermediate target for ball carriers in the middle so they don’t have to blaze away and put it on somebodies head. He isn’t flashy or spectacular, nor tall or particularly athletic. His success comes down to factors like work rate and his decision making. He nearly always takes the simple and correct option, and doesn’t extend himself beyond his capabilities. Put simply he is a smart footballer. But what we witnessed on Sunday felt like the most obscure and bizarre television show ever conceived, in which an unassuming ginger tore apart a team of professional footballers and won a life time supply of sunscreen for his efforts. It was the AFL equivalent of the Truman Show. Lynch at times must have wondered if this was part of some grand plot. If the opposition was letting him do this. Adelaide played a game they knew they could get away with against the Giants and nobody else. They effectively sat back and waited for the inevitable Giants turnover, rather than hunt the ball carrier themselves. Effective against a young and inexperienced club, but a philosophy that will leave you in defeat against most others. In the second half they became more aggressive as the prospect of a massive percentage boost became the primary concern (well, that and feeding the Lynch monster). The ginger ninja was the obvious stand-out, but substitute Jarryd Lyons had a sneakily impressive showing. Coming on midway through the third, Lyons racked up touches with alarming ease, earning nineteen at nearly 90% efficiency in a quarter and a half of football, as well as five clearances, tied for most on the ground. Dangerfield was at his usual lofty level as well, dominating in both the middle (28 touches) and up forward (4 goals). Using the “excitement of commentators to player’s vicinity to the ball” measuring system, not only is Daw the greatest footballer alive, but he is also the greatest human being to have ever existed. Daw is the exact antithesis of Lynch in every single sense you could possibly conceive, and then a few more for good measure. They would be prototypical partners in a cheesy 80s buddy comedy. The one thing they do have in common was a successful weekend. Daw experienced an early career breakout performance, kicking 6.4. He was undeniably the dominant player on the ground (with respect to Ryan Griffen). He was too big and athletic for any of his opponents, and there was a sense of formality about Daw winning the ball when the Roos went forward. Capable forward options are often the difference between the Western Bulldogs and their opponents, and so it proved once again, with the Roos running out 54 point victors. Won the battle of the undefeated convincingly, something we all knew, deep within the recesses of our souls, would happen. Did anyone seriously believe the Bombers would win? Not that they could win, but that they would? I was extremely confident that the Cats would beat the Bombers, and do so with relative ease. When you boil it down, the Bombers just aren’t in the same tier of side the Cats are. That isn’t a slur on them, it’s just reality. Ask yourself, if the Cats and the Bombers faced of in the Grand Final ten times, how many would you pick the Bombers win? One? Maybe Two? Geelong are in a different class. Of course, this isn’t backed up in any way with statistics. Indeed the Bombers to date outstrip the Cats in most of the statistical identifiers so far in 2013. But the above is true, and we all know it. Stats can paint a mighty fine picture, but not a complete one. I could make a compelling statistical argument that the Bombers are superior to the Cats. But this doesn’t change what we feel about these two clubs. Geelong are trustworthy good. It is a genuine surprise when they play poorly. Essendon are seasonally good. Rightly or wrongly we are just waiting for them to revert to the mean. Last year they not only reverted to it, they flew straight past it. While their play so far this year feels more sustainable on the whole than what we witnessed in the opening half of last season, we still have a hard time seeing this current level being maintained. Put simply, we just don’t trust them yet, and Friday night further validated these feelings. An unexpected, and for three quarters convincing, victory over the more fancied Blues makes the Saints a feature in the round Seven winners list. We’re just going to pretend the fourth quarter didn’t happen. – On their day the Saints can play some good football. – They are going to lose more games than they will win. – Nick Riewoldt is a tremendous footballer who is your run away All-Australian Centre Half Forward to date. – They would be in a world of hurt if not for Riewoldt. The Saints are under no delusion about where they stand in the football food chain. They are giving nearly every youngster they’ve got a go at the moment, and it is the sheer will of Saint Nick that will keep them in the 11 to 14 range rather than the 15 to 18 one. First win in Victoria, and first time putting a side to the sword. They smacked the Demons in much the same manner you would expect to see from some of the more established clubs. A year after people suggested that perhaps the Giants were ahead of their expansion partners, the pendulum has well and truly swung back in the Suns favour. For getting a big win against the Pies despite huge absences. Sandilands and Pavlich were out injured. Fyfe missed with suspension. A handy utility in Bradley is gone for the season. Morabito, when he isn’t rehabilitating his knee, is arguing with Daniel Menzel over who has less luck. Their second ruck in Griffen was withdrawn from the game early after succumbing to a knee injury. The fitness staff are probably booking surgery times for the rest of the squad as you read this. Best be prepared. If you took the leading two ruckmen out of a side, and then removed their captain and best forward, and arguably their best midfielder to boot, then I’d hazard a guess they wouldn’t come away with victory against Collingwood, home or away. The Dockers must get a lot of credit for getting results against quality opposition in spite of these borderline catastrophic outs. Special note for Michael Walters, who continues his evolution into one of the game’s premier forwards, while Garrick Ibbotson, who marshalled the Dockers attacking movement in the back half, is having a breakout month. That isn’t a misprint. The Dockers may be snaring credible wins in difficult circumstances, but they are developing a bad habit of letting sides back into games. They held a 56 to 16 point lead over the Pies on Saturday, and managed to fumble it away. They came out in the final term and outworked their opposition, but their play in the third, and their general penchant for playing extremely poorly in extended patches, is going to cost them down the line. Letting your opposition get five goals in front every single week is not a long term winning strategy. They managed to get away with it against the Crows and the Eagles, but it has cost them over the past fortnight. If they’re serious about playing finals then they need to sort out this damning part of their game. He is everything you want in a footballer except he is not any good at playing football. I’ll answer your question Brian. This is the best of White you will see. White is a below average footballer, and will continue to be a below average footballer. The only dissenting opinion you will find is that of a Sydney fan in trade week as he tries to sucker you into the idea of giving up a stale piece of bread for him. Words like “potential” and “could be anything” and “just has to put it together” are thrown out without regard for the fact they are at best grand delusions, and are more likely the exaggerations of a dodgy used car salesman. This from the same fan who convulses when he sees his name at any time other than trade week. Sometimes when I am feeling down I convince myself that the Crows gave up Tippett for nothing and conceded two years worth of draft selections just so we didn’t have to have him. The commentary crew split their time between being bored and uttering condescending praise for the Giants. Paul Roos was insistent at half time that it “wasn’t a 55 point game” (it was). In fact the only time I recalled him mentioning the Crows throughout the opening half was pre-game when he referred to Andy Otten as “Ottens”, something he does every single time he calls their games. The Giants were doing a lot of things right apparently. Like giving up 15 marks inside fifty in two terms of football, or getting smashed in the centre clearances by a side ranked 17th in that area heading into the game. The second half offered welcome relief as Lynch’s incredible efforts and Adelaide’s complete evisceration of the Giants forced the crew to change tact. No longer could the Giants be praised for their efforts, and instead all focus was on how many Lynch could kick. 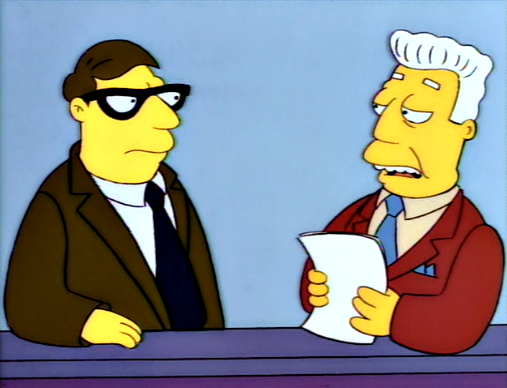 McEvoy had a tremendous game for the Saints, but he makes the loser list because I suspect Brian Taylor, Luke Darcy, and the rest of the Monday Night commentary crew at Seven have forgotten his first name. Why else would they continually refer to him as Big Boy McEvoy at an incessant rate? Surely it isn’t to be amusing, because, well, it isn’t amusing. No joke is when it is repeated approximately thirty times across a two hour span. I just wish Taylor would come out and admit it the next time he calls a St Kilda game. OH BOY WOWWEE I’VE FORGOTTEN BIG BOY MCEVOY’S FIRST NAME RICHO! WOWWEE WHAT A DISASTER!!! Monday night was a big kick in the teeth for Carlton’s cries of premiership legitimacy. They were hindered by injuries early, but the way they played didn’t inspire confidence. One feels the Hawthorns, Geelongs, and Sydneys would’ve come away with a win in the same circumstances. The Blues won the hit-outs convincingly, and had 14 centre clearances to St Kilda’s five, but were unable to turn this dominance into anything substantial. On the whole the Blues seem pretty similar through seven rounds to the pre-Malthouse iterations. Walker has exchanged positions with Yarran, but beyond that there are no real dramatic changes. Waite is obviously the great transformational hope, and in previous years they have been a much more productive side when he features, but he always misses extended periods throughout the year. Even so, a fit and firing Waite is unlikely to be enough to propel them into the top four and genuine contender status, especially if they don’t improve significantly across the board. So far they’ve been average in every area other than speed. So Melbourne lost to the Suns on the same day a ginger kicked ten goals. Professor, without knowing exactly how this happened, would you say it’s time for our viewers to crack each other’s heads open and feast on the goo inside? Ya can’t change it if ya aint got it! The counts of “clearances”, “contested possessions”, “inside 50s”, “inside leg measurements” – whatever etc. are not “statistics”. This numerical data may after scientific interpretation and analysis, result in true statistics demonstrating something or other, but I’ve yet to see it. Games are not won by counts of isolated events except the counts of goals and behinds and in the end its only the goal and behind tallies that matter. Any coach chuffed by “winning” the “clearance” or “stoppage” count against Geelong needs their coaching credentials questioned.